Across The Pond Wrestling would like to welcome you to our first ever Hall of Fame Induction Ceremony. So take a seat, and enjoy some clever wrestling people telling you why Bobby "The Brain" Heenan deserves to be our first ever Across The Pond Wrestling Hall of Famer. Now we could write our own induction "speech" for this "The Brain" but we thought we'd let the members of our Hall of Fame voting panel who nominated Heenan to have their say on why he deserves to be our first inductee. During his wrestling career Bobby was known as "Pretty Boy"
"I voted for Bobby Hennan as for me he broke the mould during the late 80's and early 90's! He had such a great stable back then and was at the centre point of many of the big feuds! Always quick witted with the put downs, could bump with the best of them and his comedic timing was excellent!! My 1st memory of the WWF was WrestleMania 7, I'll never forget the work he did with Gorilla Monsoon and to this day I don't think that double team of commentary legends has been matched!! He was and still is by far the best manager the WWF/WWE have ever had!! Consider this NO Heenan, NO Heyman!" 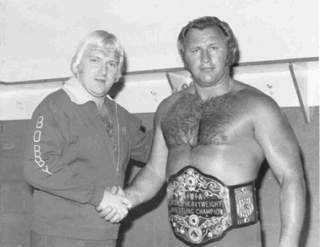 Heenan helped Nick Bockwinkel end the Seven Year AWA World Championship reign of Verne Gagne in 1975. 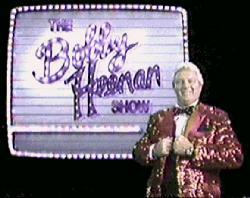 Bobby hosted his own show in 1986. 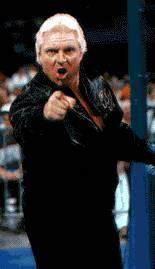 We chose Bobby Heenan because he had everything you would want out of a manager and performer. He cut smart & witty promos which always made you laugh. He knew how to draw you in as a fan weather you liked him or not and also brought the best out of his wrestlers. "The Brain" brought Intercontinental Championship gold to Mr. Perfect in 1990. Across The Pond Wrestling has chosen its first inductee into their Hall of Fame. It is none other than the incredible Bobby “The Brain” Heenan. 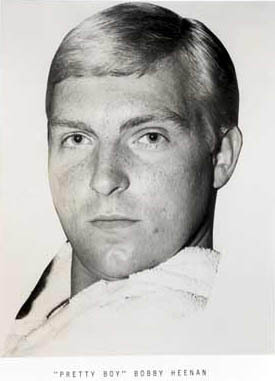 Bobby Heenan was and is one of the most memorable managers in the history of wrestling. In his many years with the then-WWF, he managed many superstars and brought gold around their waists. Some of the names he managed reads like a who's who of wrestling, including Mr. Perfect Curt Hennig, Andre The Giant, Tully Blanchard, Arn Andersdon, Ravishing Rick Rude, Ric Flair, Haku, and Harley Race. 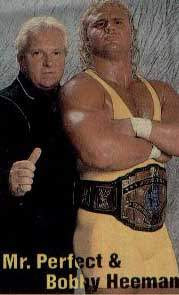 In addition to being one of the top managers in the industry, Heenan was even more famous for his dry, sarcastic wit, co-hosting with Gorilla Monsoon on the hit show Prime Time Wrestling, Wrestling Challenge, and for a brief stint, he even hosted his own show, The Bobby Heenan Show. His jokes were the staple of wrestling TV, with him producing some of the most memorable quotes ever uttered by a personality. Those are all awesome reasons why Bobby Heenan is being chosen. Yet, for me, it's more personal. Heenan to me was one of the most unique characters I'd ever seen on TV. He made the matches amazing, whether with his commentaries or his actions at ringside. Hearing him made me want to get into wrestling. I wanted to say things about wrestling that was both insightful and hilarious. Heenan inspired me to get into the wrestling business. Not only me but when we interview managers on the show, he's listed as one of the heroes for being one of the greatest of all time. Heenan even appeared in Ring of Honor, offering CM Punk his managerial service in 2004. We'd like to thank everyone who nominated in our first ever Hall of Fame vote, and all that's left to do is welcome Bobby "The Brain" Heenan into the Across The Pond Wrestling Hall of Fame Class of 2013.